RSL recommend that all technical details required are requested. We recommend that the correct information for each individual project is discussed as early as possible to ensure that the correct products are indicated on the drawings. This will assist in the projects running and hopefully avoid unnecessary holdups. Drawings can be supplied in either PDF or CAD format at your request. The government accredited Chas scheme examines certain health and safety aspects of the products. Under the terms of this scheme, the RSL system can be used in government contracts safely. The company also complies with NBS Plus Specifications for cavity closer, Lintels, and shutters. Manufacturer: RSL Bristol Ltd, Cornishway South, Galmington, Taunton, Somerset. TA1 5NQ. Product Reference: RSL ‘patented’ Inbuilt Roller Shutter Lintel System. Performance: High quality security shutters whilst enhancing aesthetics. Arrangement: Horizontal laths with inbuilt shutter boxes concealed with the wall makeup. Cavity closers: Fully insulated and recess into the cavity. Aluminum guide within powder coated to any RAL/BS code. Lintels: Load bearing Hot dipped galvanized finished. 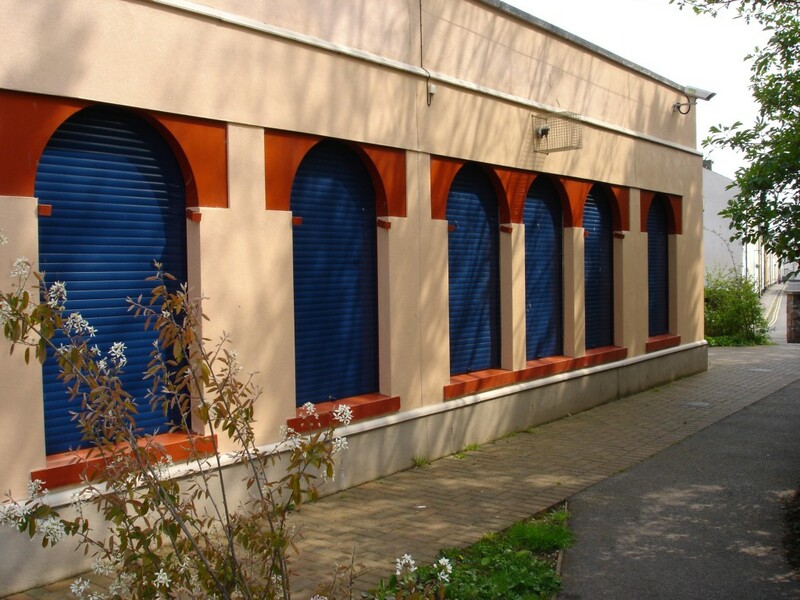 Shutter Reference: STS BR2 & STS BR3 Secured by Design Double Extruded lath with strengthening bar through the middle, Powder coated to 25 microns to any RAL/BS code. Operation: 240v Motorised to allow controlled ascent and descent. Tables are based on conservative assumptions and specific designs will frequently permit higher loads. Structural performance in accordance with EN 845-2:2003 (E). Lintels tested at the University of the West of England. All lintels incorporate full length expanded polystyrene insulation to BS3837 and Airtech Double to BBA 08/4565. All standard lintels are manufactured from pre-galvanised steel or hot rolled dry/mild steel to BS 10025-1:2004 S275. To Building Regulations Approved Documents L1 and L2: 2006 when specified and installed correctly. UK Patent Nos. 9723019, 9702597, 9500914, 9724969, 9712241. Lintels can be fabricated in stainless steel to EN 10088. Corrosion protection to EN ISO 1461:type 1. If you have any further questions regarding our specifications, we would be more than happy to discuss them.